Our Guild of Altar Servers ensure that our Sunday morning Liturgy goes smoothly and we are properly focused on the majesty and mystery of God’s eternal presence. The Crucifer : who carries the processional crucifix as a reminder of the great and amazing love with which God embraces all creation in the death of Jesus on the Cross and which is at the heart of our faith. The Acolytes : who carry the processional candles as a reminder to us that Jesus is the light of the world, a light no darkness can ever quench, and that we are to shine in the world with the same light. The Thurifer : who carries the thurible in which the incense burns. In the Christian tradition incense is used to symbolize the setting apart of both people and things as holy and special to God and of our prayers rising to God in every chapter of our lives. The boat boy or girl : who carries the boat shaped container which holds the fresh incense. All of these roles enable our Sung morning 1030 traditional Sung Eucharist go smoothly and enable us to keep our hearts and minds fixed on the mystery of God, most beautifully revealed in Jesus Christ and shed abroad in our hearts through the Holy Spirit. 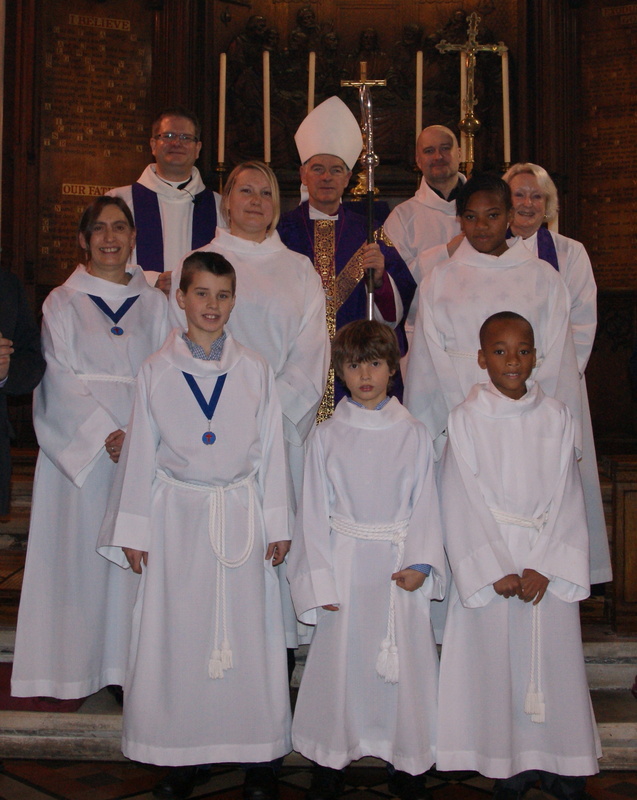 A number of members of our serving team at Emmanuel are members of the wider Company of Servers, made up of Servers throughout the Church of England and wider Anglican Communion. Our Sacristan is Matthew Shirley and our Senior Server is Casey Hammett. If you or your child are interested in joining our team of Servers at Emmanuel we are always warmly welcome new members. Please do not hesitate to be in touch via the “Contact us” section of this website.